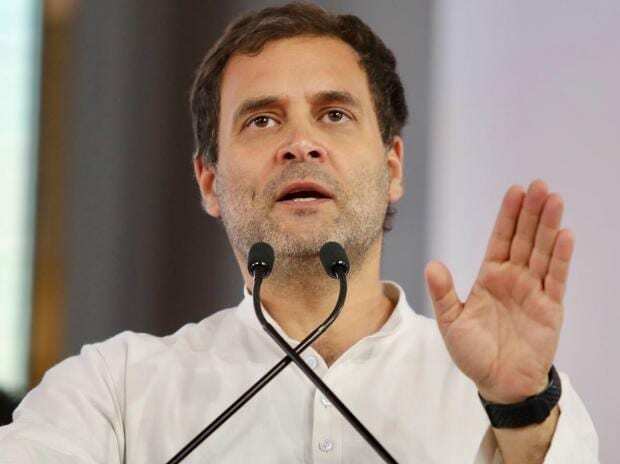 Lok Sabha Elections 2019: Congress president Rahul Gandhi, who is contesting from Wayanad Lok Sabha seat in Kerala in addition to his traditional stronghold of Amethi in Uttar Pradesh, filed his nomination today. His sister Priyanka Gandhi accompanied him to Wayanad. Gandhi has claimed that the people in South India "feel hostility" from Prime Minister Narendra Modi and said he decided to contest from Wayanad to send out the message that he stands with them. Meanwhile, BJP leader Smriti Irani will begin two-day visit to Amethi, the Lok Sabha constituency of Rahul Gandhi. In the 2014 Lok Sabha elections, Gandhi had defeated Irani by a margin of over 1.07 lakh votes, retaining the Amethi seat. She will be contesting from there again. BJP Presiden Amit Shah will address rallies in Telangana and Andhra Pradesh. Congress party spokespersons will release the manifesto at the state headquarters and list out the key points in the document. The aim is to reach out to the grassroots level and ensure that the message of the party reaches the people on the street and the hinterland.